A redesign of the entrance into the full service car wash and the installation of automated pay stations garnered the approval of the Brunswick Planning Board on Thursday, April 4. The company was back before the Board that evening with the final details of the changes that they say have proven at other locations to speed up the traffic flow. They hope by this means to eliminate the backup of vehicles along the side of the car wash turning in off Hoosick Road (Route 7). At the previous meeting, the Planning Board agreed that the changes to the site plan were minor, and no public hearing was required. The Board also agreed there was no environmental impact created by the modifications. 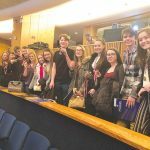 Along with over 100 students from the Capital Region, the Honors 10 class took part in the History Day competition at the State Museum in Albany on Saturday, March 24. 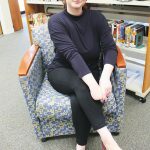 Brunswick Community Library is pleased to welcome its new library director Sara Hopkins. 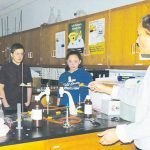 Rensselaer Polytechnic Institute Engineering Ambassadors visited the Berlin Middle-High School on March 29. 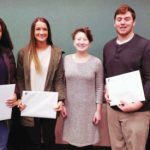 Four Tamarac students and one teacher were recipients of the Capital District YMCA Outstanding Student and Educator Awards. 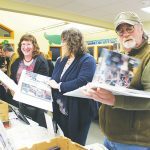 It was an artistic evening at the Brunswick Community Library last Friday, March 15. 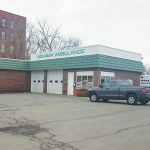 Brunswick Town Supervisor Phil Herrington told The Eastwick Press on Monday, March 11, that the Mohawk Ambulance Service has purchased land on McChesney Avenue off Route 7. 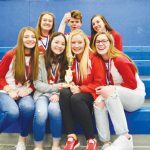 Seven teams represented Brunswick CSD this year in the Region 4 Odyssey of the Mind Tournament held on Saturday, March 9 at the Coxsackie-Athens School District. 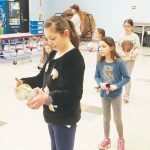 Cornell Cooperative Extension’s 4-H Youth Development prides itself with providing youth with exciting real-world opportunities.